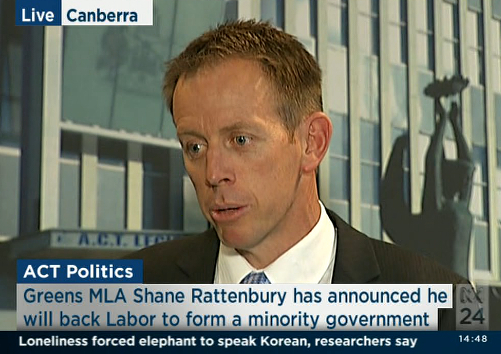 Today, last Green standing, MLA Shane Rattenbury announced he is supporting Katy Gallagher and the ALP to form government. He is to become a minister in the Greens/ALP government. The first thing he mentioned after announcing who he would support, was light rail. asked by a journalist what his ministry would be he said that hadn't been finalised yet, but he wanted to play a role in the delivery of the light rail system. the funding model would be in the form of a Public Private Partnership. There is an 'iron clad commitment' from the ALP to delivering this. 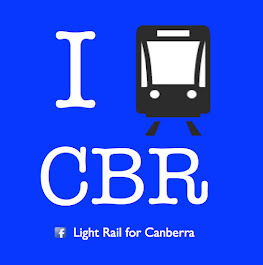 This is an excellent result for Canberra's future. It's quite a strange feeling, after years of spruiking the advantages of light rail and never seeing real progress, now it's actually going to happen. I'm excited and relieved at the same time. This is excellent, although once the Civic-gunners line is finished, the parties should invest in creating lines into the south, they feel very neglected down there and if they don't see infrastructure soon they may riot.